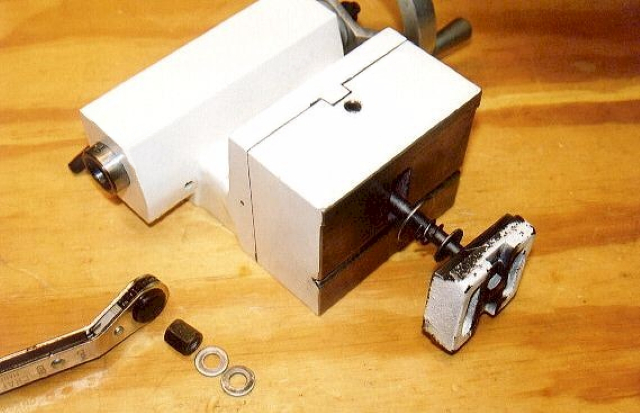 spring was installed, with washers on both sides, between the bottom of the tailstock base & the locking plate. The ratchet now works even when it is loose. 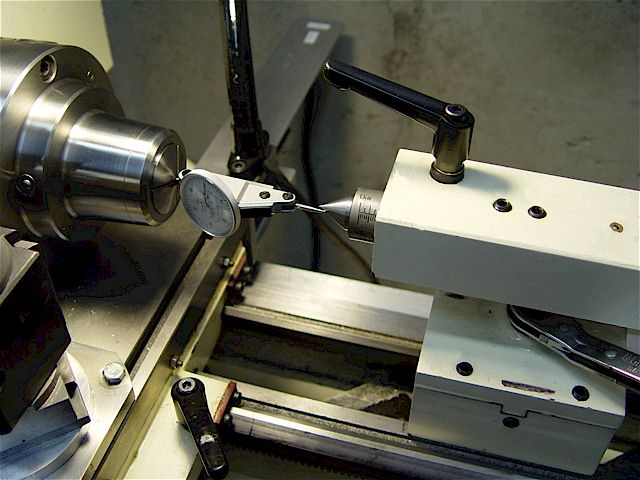 This is a fast & strong method to lock the tailstock securely. would cut the inside of the groove it engaged. Used an 8mm set screw with the end turned to 5mm. Removed all the burrs on the groove edges. 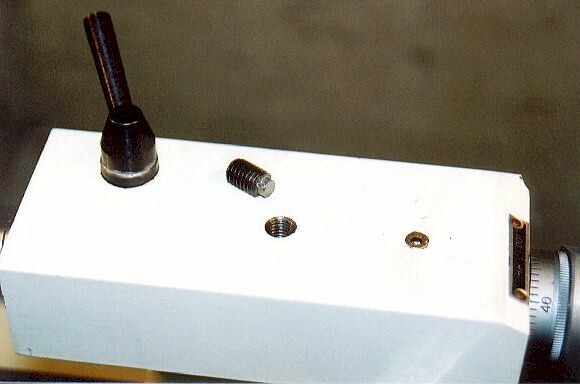 Used aluminum anti-seize compound on the lock & pin. 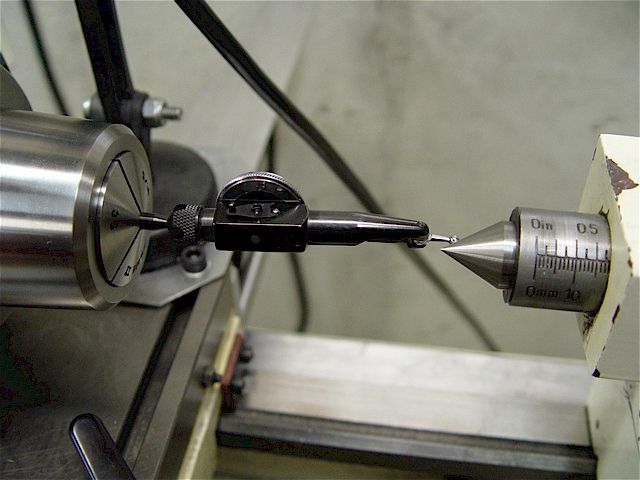 A 2nd set screw placed 0.7" toward the spindle, keeps the tailstock from rotating if it is overextended. fits inside on the lead screw (far right). 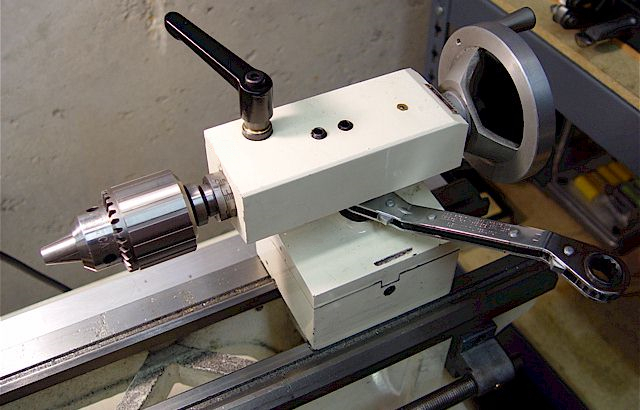 Now, the tailstock moves in & out smoother & with less effort. Added a chrome-plated steel revolving handle. 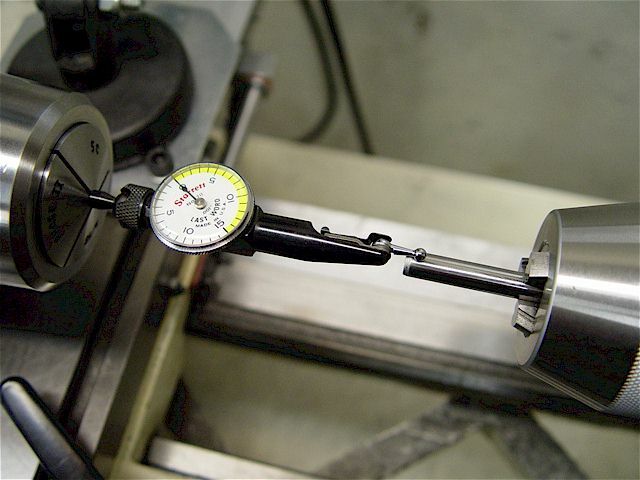 Drilled out the M5-0.8 thread then & then tapped for a 1/4-20. Die-cast zinc Kipp adjustable ratcheting locking levers (M6-1 threaded bolts) with a brass washer. The carriage lock also has a brass spacer that loosely fits the original counter-bored hole. A tight fit could possibly bind when it gets grimy. Dissimilar metals can work more smoothly. top/bottom error was corrected using brass shim stock because it was low by a few thousandth's. Interapid dial test indicator 312B-1 (Swiss) shown. 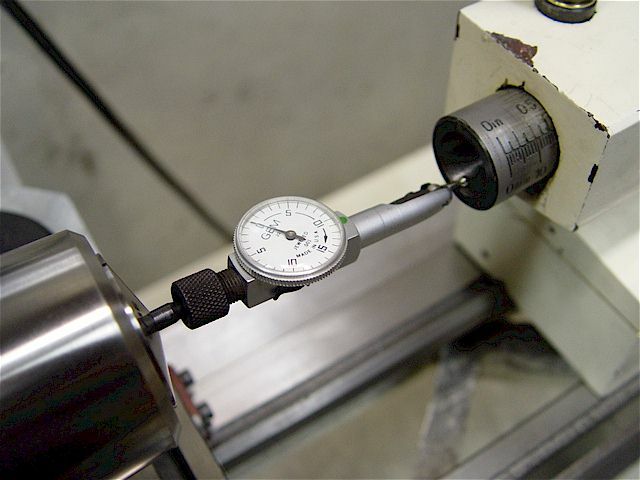 vertically (shims or grinding) into proper position as indicated by the dial test gage. 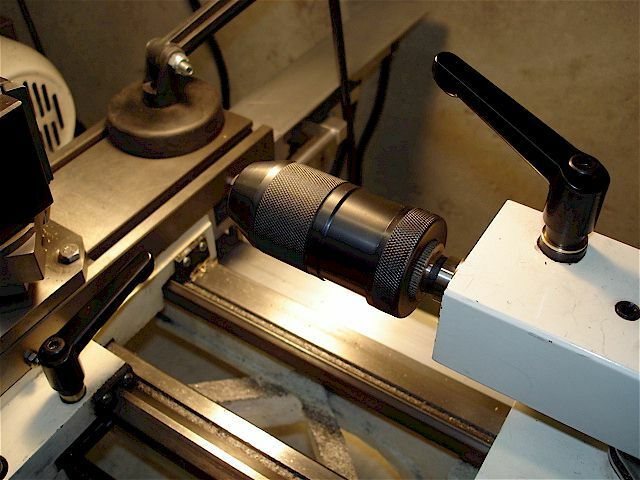 Offset the tailstock for tapers. 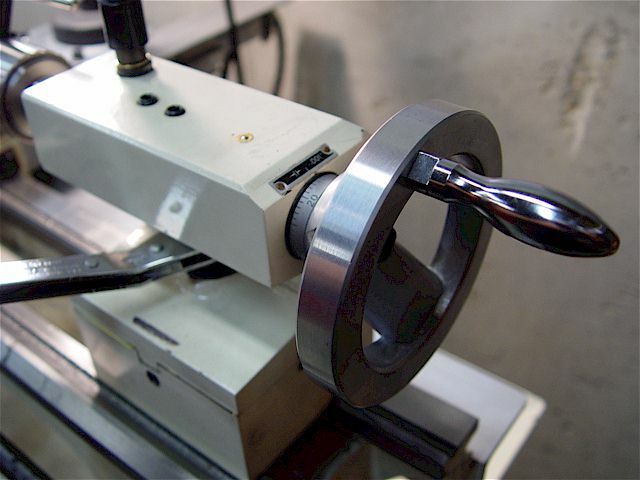 Shimming or milling the top of the cast iron tailstock base may be required to tram top to bottom. 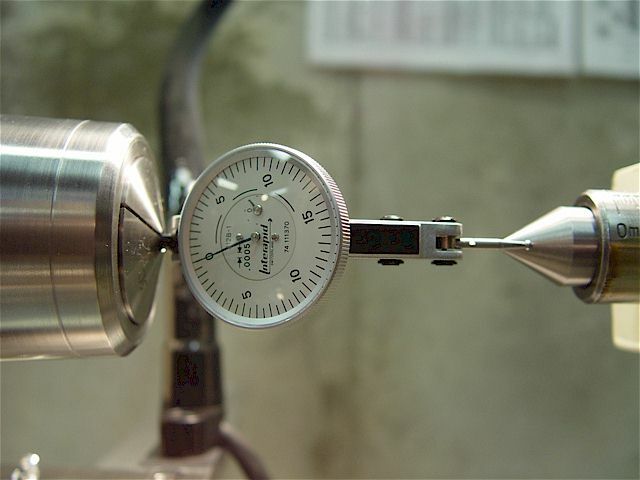 The dial test indicator needle moves in the opposite direction when tramming the inside surface. 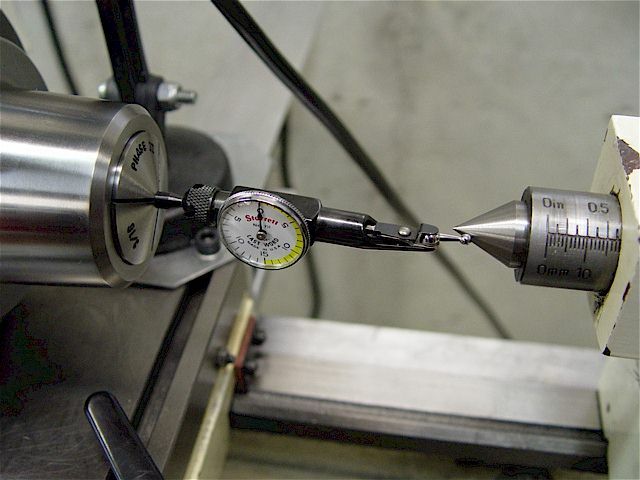 Tramming using a dowel pin.